Steven began his musical career as a chorister at St. Paul’s Cathedral. He later sang in the choir of St. John’s College, Cambridge whilst taking an Economics degree before becoming a Lay Vicar at Westminster Abbey, where he sang for four years. He has sung with many of the leading British vocal ensembles including Gothic Voices, The Tallis Scholars, The Sixteen, The Gabrieli Consort and The Cardinall’s Musick, but is best known for his sixteen years with the world-renowned vocal quartet, The Hilliard Ensemble. Highlights of his time with this versatile ensemble include performing the part of Pilate in performances of Passio by Arvo Pärt throughout Europe and in Australia and New Zealand and performing Miserere at Pärt’s 75th birthday celebration in Tallinn in 2010. Steven was also part of their hugely successful collaboration with Norwegian jazz saxophonist, Jan Garbarek, which they performed to sell-out audiences throughout the world for 20 years. 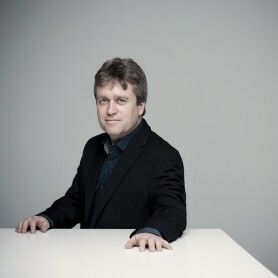 He has been fortunate to work with many leading orchestras at home and abroad including the CBSO, LPO, BBC Symphony Orchestra, the Australian Chamber Orchestra, Deutsche Kammerphilharmonie and New York Philharmonic Orchestra, performing music written by composers as diverse as James Macmillan, Alexander Raskatov, Unsuk Chin, Stephen Hartke and Erkki-Sven Tüür. Steven made his first appearance on stage in the premiere of I went to the house but did not enter by Heiner Goebbels at the Edinburgh Festival in 2008, a music theatre piece written solely for the four Hilliards using words by T S Eliot, Blanchot, Kafka and Beckett. He subsequently performed this piece throughout Europe, in the USA and in South Korea. Recent solo engagements include two performances of the tenor arias in Bach’s St. Matthew Passion in the Berlin Dom with Tobias Brommann and the Domkantorei, Pärt’s Miserere with The Hilliard Ensemble and the BBC Singers at the Cheltenham Festival and performances of John Casken’s Dream of the Rood with the Royal Northern Sinfonia and ASKO Schönberg. A CD recording with the latter group is due to be released in the near future. Forthcoming engagements in 2015 include Morimur, a project based around Bach’s famous D minor Chaconne with Christoph Poppen in Marvão, Portugal, and performances of Quickening by James Macmillan in Chicago with the Grant Park Festival Orchestra and Chorus. Steven is married to the oboist Rachel Harwood-White. He is a keen walker and an obsessive follower of sport of all kinds.